I am proud to be working with Loudoun County Public Library to increase awareness of the positive effect of music on people with advanced Alzheimer’s and other forms of dementia. 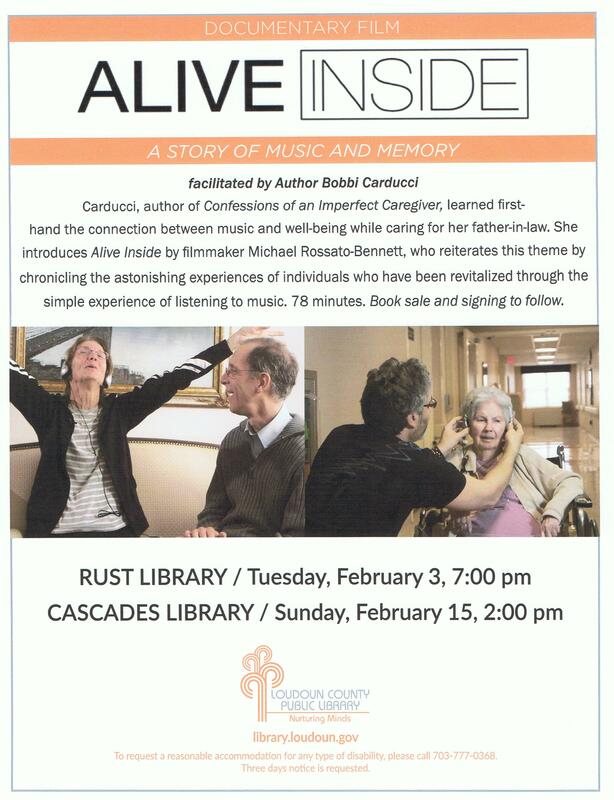 Rust Library, Leesburg, VA /Tuesday, February 3, 7:00 P.M.
Caregivers, often do you hear those words from family members trying to justify avoiding your loved one. For refusing to help even long enough to give you a few hours or days of respite? They may feel that upon hearing those reasons we will understand that they would like to help but they simply can’t. Some common comments and my responses follow. 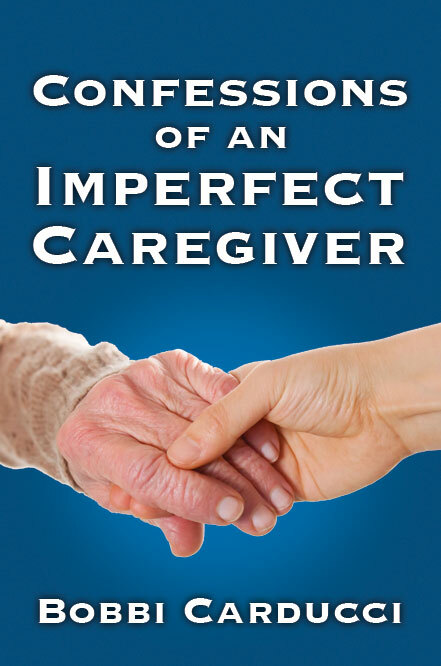 As the Imperfect Caregiver I speak for you so you know you are not alone. “Mom doesn’t know me anymore so why bother visiting? When I do come by all she does is repeat the same stories over and over. It’s boring and irritating. I can’t take it. “If that’s true and she is fine,why don’t you come more often? Why are you too busy to give me a break? “Yes, I have a problem. It’s trying to deal with all this and you too. Would you like me to tape record him for you? Feel free to share some of the comments you hear from family members in the comment section below. It helps us all to know we are not alone.